Celtic will not face Robert Lewandowski when they take on Bayern Munich on Tuesday. Bayern confirmed on their official website that the Poland striker had not travelled to Glasgow with his team-mates for the Champions League encounter at Celtic Park. 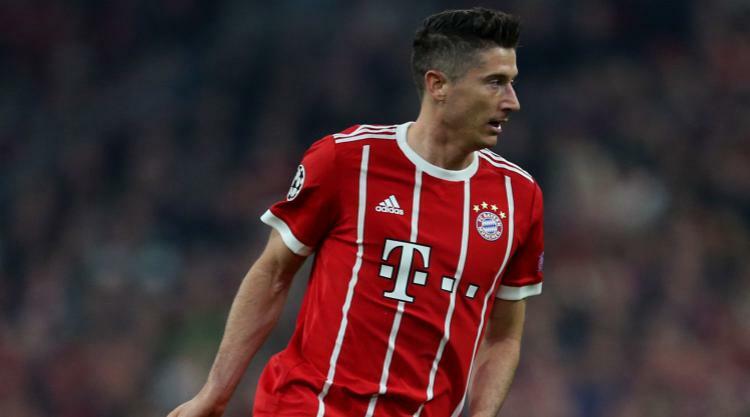 Lewandowski went off with a thigh injury as Bayern beat RB Lepzig at the weekend and Bayern coach Jupp Heynckes is taking no risks ahead of Saturday's trip to face Borussia Dortmund. Bayern chief executive Karl-Heinz Rummenigge told his club's official website: "If we had played against Real Madrid, he might have gone. The coach does not want to risk anything as Saturday's game, which is very important for us, is in the back of his mind." Kingsley Coman has travelled after the French winger missed Saturday's 2-0 Bundesliga victory with a knee injury. With Lewandowski's replacement on Saturday, striker Kwasi Okyere Wriedt, not registered for the Champions League, Bayern have included under-19 forward Manuel Wintzheimer in their squad. Juan Bernat, Manuel Neuer, Thomas Muller and Franck Ribery remain on the sidelines through injury.